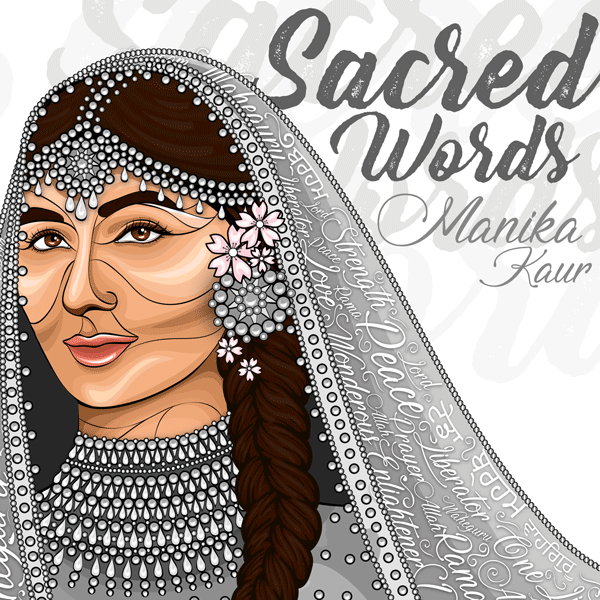 Sacred Words represents Manika Kaur’s most diverse and very best work to date, featuring collaborations with Scottish folk musician James Yorkston (Guitar/Dulcimer) Jyotsna Srikanth (Violin) and Tunde Jegede (Kora). The album was picked up by producer / bassist Martin ‘Youth’ Glover’s (Killing Joke, Verve, Kate Bush and many more) for his new imprint label, Suriya Recordings. The tracks are produced and mixed by Talvin Singh, Punjabi-Glaswegian artists TigerStyle, Oskar Vizan and Youth. The result is an album that is a genuine force to be reckoned with. Though wholeheartedly enjoyable on the strength of their sound alone, these beautiful and hypnotic renditions are only enhanced by the fact that they will be used as a positive humanitarian force, changing lives of those in need while spreading a pure and sincere message of generosity and love.